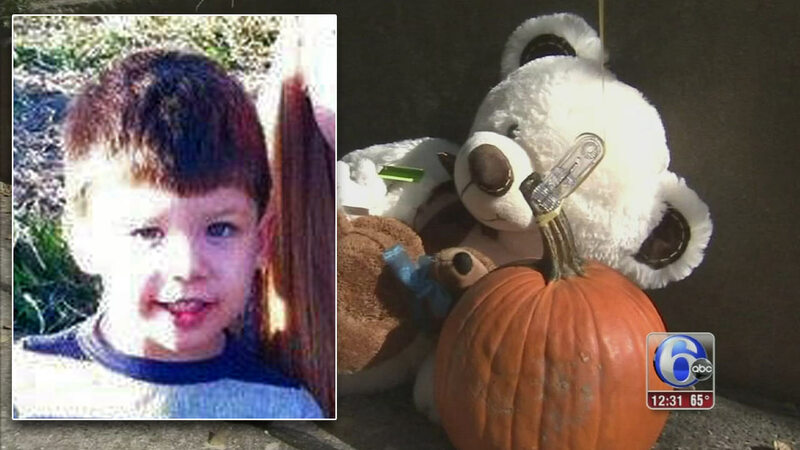 Questions remain after the disappearance and death of 3-year-old Brendan Creato. HADDON TWP., N.J. (WPVI) -- Action News has obtained the 911 call from early Tuesday morning in which 3-year-old Brendan Creato was reported missing. The boy would be found dead in Haddon Township, N.J., just a few hours later. The caller identifies himself as the boy's father, D.J. Creato. "I just woke up and my 3-year-old's missing," he says. The 911 operator asks if the child is a boy or girl, and the caller says "A 3-year-old boy. His name is Brendan," then goes on to say the boy was wearing red pajamas. "I just woke up and he wasn't in my apartment," he said after being asked by the 911 operator if he saw or heard anything. "I don't know if he wandered out or what happened. I don't know where he is." "The door was locked. I guess he unlocked it and left," Creato continues. The 911 operator then asks him to stay on the line in case the police dispatcher has any more questions. (NOTE: We removed audio of Creato's exact address and his phone number). Among others, authorities have been questioning D.J. Creato. He refused comment to Action News on Wednesday morning, but his mother told Action News he is "innocent" and he is "just as heartbroken as anyone else." That's a sentiment echoed by his friends. "He says he doesn't need a lawyer because he didn't do this. We know he didn't do it, he loved his baby," said family friend Bernadette Ferrara. Friends said despite a number of personal problems in D.J. Creato's life, his son was the most important thing to him. "No matter what happened in their family life - with the relationship with his wife, his work issues - when he saw Brendan, all that fell away and all he knew was this was the most important thing in his life," said family friend Donna Duca. It's a case that has rocked the community. "Everybody definitely wants to hear some answers because, obviously, everyone wants to know if there's some crazy psychopath on the loose," said Jeff Baker of Oaklyn, N.J. The Camden County Prosecutor's Office said on Wednesday an autopsy failed to reveal Brendan's cause of death. Like many, Scarlet Rowe thought the autopsy would shed light on the case. "How did it happen? Was it by the hand of another? Was it a natural cause?" said Rowe. "I mean we don't know so we're still all pretty shook up by it." 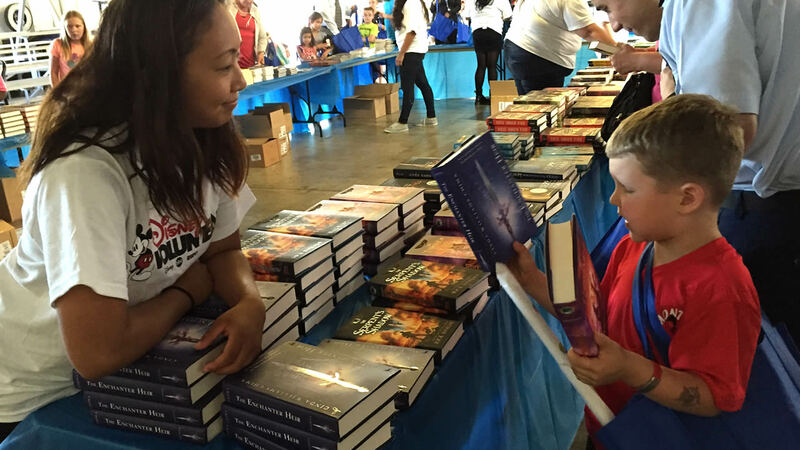 ABC7 News meteorologist Drew Tuma had a great time reading to the kids as part of the Blue Star Families "Books on Bases" program. Investigators said Brendan was dropped off by his grandmother at D.J. Creato's Cooper Street apartment at 9:30 p.m. Monday. He was reported missing at 6 a.m. Tuesday. His body was found three hours later by a police dog in a wooded area off South Park Drive in Cooper River Park, about a half mile from his father's home. Investigators went back to the park on Wednesday looking for anything they may have missed the day before. They also retraced the route from the Cooper Street apartment to the park trying to figure out how the child ended up there. "Was he strangled? Was he poisoned? Was he suffocated?" said Bruan Hueber. "We just want answers, you know? Is there someone out there we should be looking for? These unanswered questions make us all sick to our stomachs. It seems impossible for a 3-year-old to walk that far." On Tuesday night, some 100 people gathered along Cooper Street holding candles, praying and singing in memory of Brendan. "He loved pirates and he loved cats and dogs. He was going to be the Hulk for Halloween. He had his costume ready. He was a joy," said Duca. The community came together for a candlelight vigil following the death of Brendan Creato on Tuesday, October 13, 2015 in Haddon Township, New Jersey. We are heartbroken by the loss of our beautiful boy Brendan Creato. Along with the Creato family, who also lost a son and grandson, we are grieving and tremendously saddened. We thank the community, which searched this morning for Brendan and gathered tonight in his memory. We appreciate your efforts and kind words. We do not have any answers about what occurred. We do not intend to make any further statements. We do not plan to speak to the media. We request that we be provided with privacy during this very difficult time. Still without answers, a number of residents attended a weekly Farmer's Market Wednesday night to try to ease some of the uneasiness the mystery has caused. "We told people to come out to the market tonight to be together to feed their soul with food and eat together," said Doug Kelly, the Farmer's Market Director. "Everyone is speechless, no one knows what to say about what happen." Anyone with information is urged to contact Camden County Prosecutor's Office Detective Michael Rhoads at (856) 225-8561 or Haddon Township Police Detective Don Quinn at (856) 833-6208.